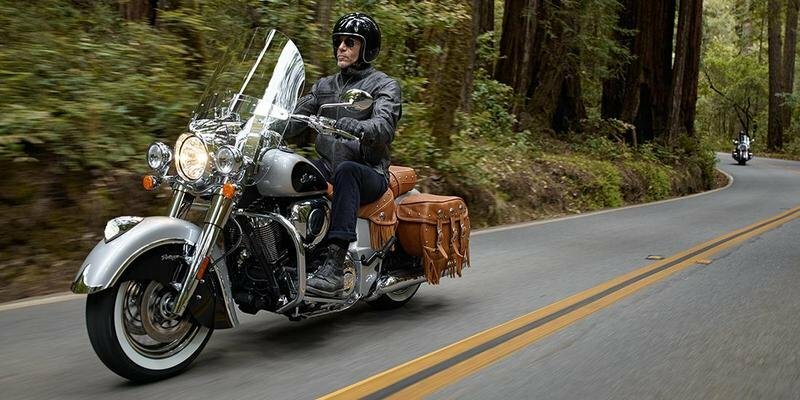 Harley-Davidson made some fairly major changes for MY2018, but the Road King stands firmly unchanged as a link to the past with a heritage that arguably started in 1958 with the Duo-Glide. 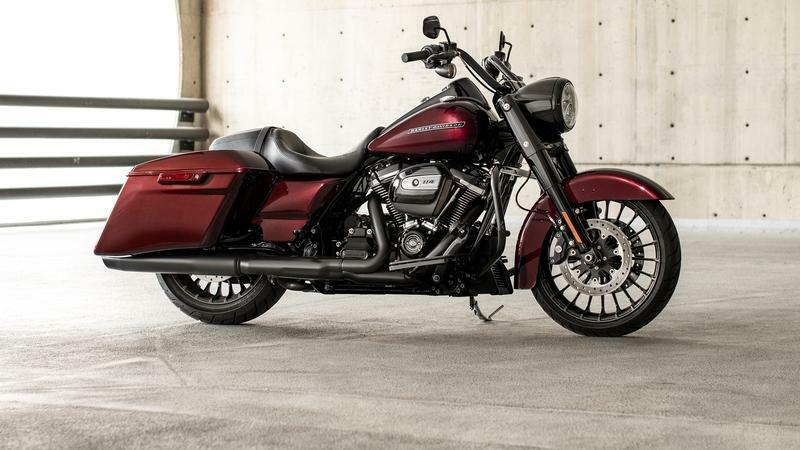 The base-model comes equipped the 107 cubic-inch Milwaukee-Eight, though for 2019, the factory graced the Road King Special with the Milwaukee-Eight 114. 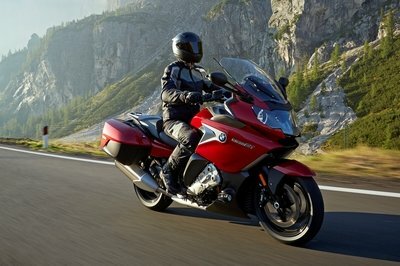 Engine output places them well within the power-tourer bracket with a whopping 111 pound-feet of torque on tap (123 pound-feet for the Special) to push its curb weight that you may as well call it half-a-ton with a rider plus whatever is in your bags and on the pillion. 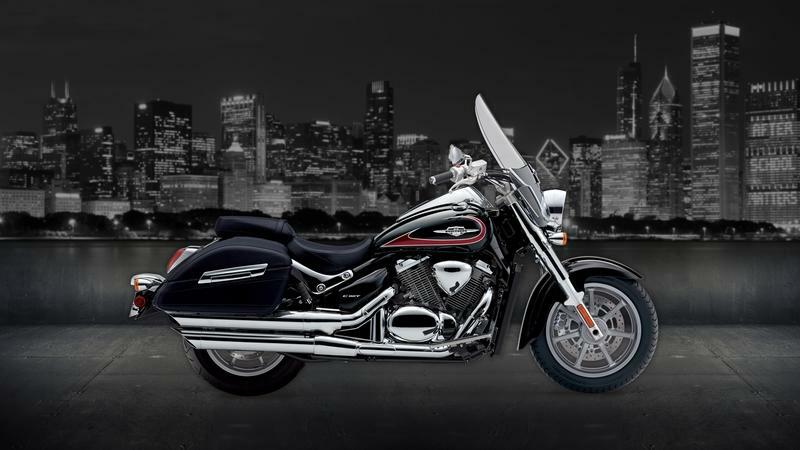 The Road King carries the bling, whereas the Road King Special carries a blackout treatment almost everywhere it can. 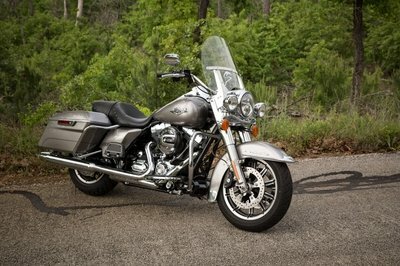 Clues to the Road King’s roots lie in its factory designator: FLHR. The Duo-Glide model of 1958 was a Panhead-powered unit with hydraulic suspension added to both ends of the wide FL frame. Later on in development, the “H” was added to indicate a fairingless large-frame bike as opposed to the FLHT/FLT that carries a full front fairing and Tour-pak to this day. That old-school FLH DNA is evident right from the first head-on glance. 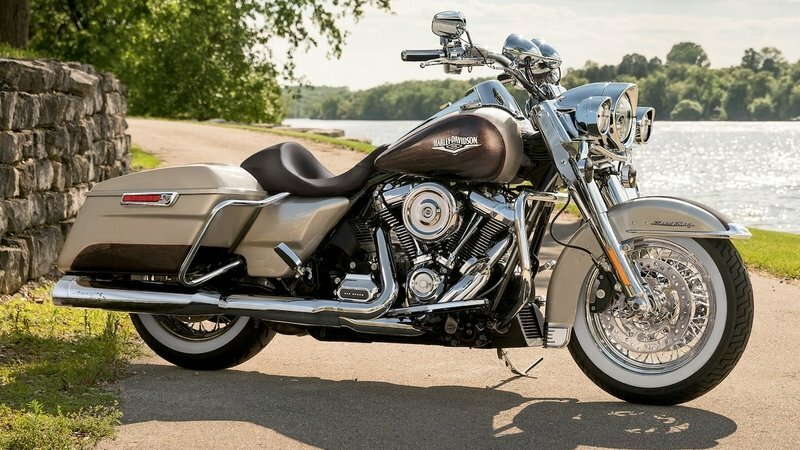 The FLHR leads the way with a full-length front fender complete with chrome trim and skirt, but is cut with high sides that leave the rider with an unimpeded view of the front hoop. Fat front forks sport the classic beer-can shrouds that tie right in with the headlamp nacelle that cleans up the front end so nicely by concealing the tripletree. A whisker bar mounts a set of pimp lights above the front turn signals and a large windshield provides the protection that made the earliest FLH models the grandaddy of American tourbike design. The classic chrome treatment continues in the instrument console over the fuel tanks, not my favorite detail because of the reflection factor involved. A deep-scoop seat and rider floorboards place the pilot in a comfortable windsock position, and the P-pad comes paired with passenger footboards set ahead of the flip-top hard bags. All of the above is chromed to the nines and all very nostalgic and such, but the Road King “Special” takes the base model and goes in an entirely different direction. Stripped of all extraneous gear and trim, the Special leads the way with a clean fender and front end that retains the headlight nacelle and skirted forks but leaves the whiskerbar passing lamps off. The two are very similar across the tank and rider seat, but the P-pad is designed to minimize its visual impact on the rear of the bike. Not only is the passenger seat less comfort-oriented than the base model’s P-pad, but passengers will have to be content with flip-out footpegs. Yeah, the Special will carry a passenger, but it also sends the message that you would rather not and that said passenger will likely wish they hadn’t. In order to emphasize the custom panache of the Special, the factory modified the bottom lines of the hard bags to include a bit of stretch with a dab of droop. On top of that, the Special carries a blackout treatment almost everywhere it can, and it’s only the polished cooling fins and rocker-box spacer that keeps the mill from disappearing entirely into the black hole under the fuel tank. All of this ties in nicely with the custom culture of yesteryear to give the Special a different kind of nostalgia. Showa's Dual Bending Valve forks make an appearance on both models, and while I think I'd rather see fully-adjustable stems up front, the Showas are definitely better than nothing with a better-than-vanilla ride quality. Harley sticks with what works for the frame, and the good old, mild steel double-downtube/double-cradle skeleton does the job just fine. The steering head keeps the forks pulled in nice and tight with a 26-degree rake and 6.7 inches of trail on a 64-inch wheelbase that gives it a nice stability and straight-line tracking at speed. While the base model rolls on a 17-inch hoop up front and 16-incher out back, the Special cranks it up a bit with 19/18 respectively. Showa’s Dual Bending Valve forks make an appearance on both models, and while I think I’d rather see fully-adjustable stems up front, the Showas are definitely better than nothing with a better-than-vanilla ride quality. Out back, a pair of coil-over shocks support the rear end with hand-adjustable preload for quick and easy adjustments. Dual four-pot calipers bite the front discs, and Harley’s Reflex Brake feature shares pressure between the front and rear calipers for balanced braking effort and increased safety. ABS protection comes bundled with the security feature as part of the standard equipment package on the Special. For 2019, the base model comes standard with the security feature, but you’ll still have to pony up for the ABS option. 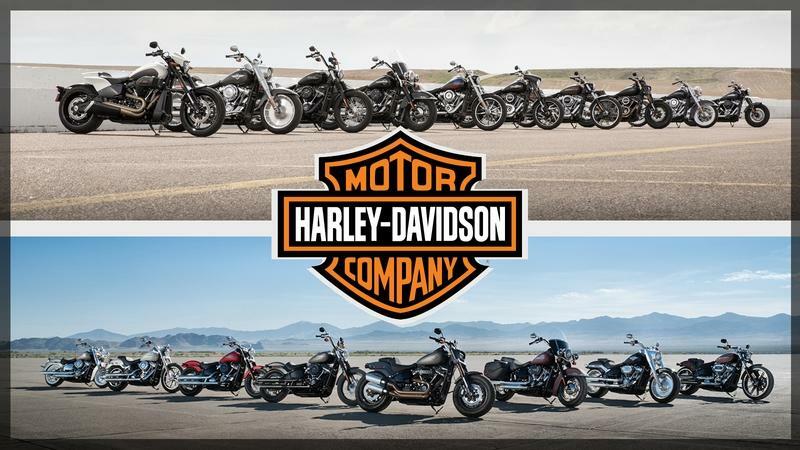 Harley enters another year with no sort of traction control or variable power-delivery modes; I imagine someone at the factory has to realize that they ignore such tech at their own peril. Look what’s back again. The Milwaukee-Eight 107 reprises its role as the beating heart for H-D’s Road King, and it brings hot-rod performance to what could otherwise be a rather mild-mannered sled. Torque peaks out at 3,250 rpm with a total of 111 pound-feet of torque, plenty to move the ride with some urgency in spite of its great mass. For 2019, the Road King Special comes equipped with the Milwaukee-Eight 114. Torque peaks out again at 3,250 rpm, but you get a stump-pulling 123 pound-feet on tap. 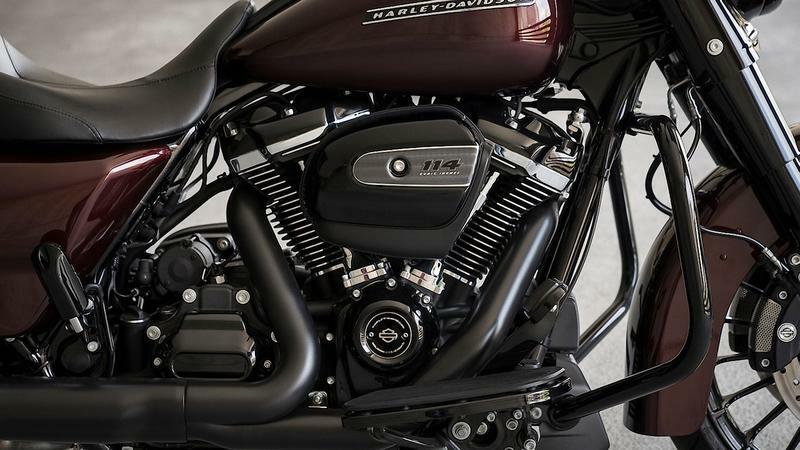 The Motor Company stuck to its classic 45-degree “V” engine configuration, and since it’s moved past the whole Twin-Cam design back to a single-cam valvetrain, the Mil-8 looks much more like what a Harley should look like. Internal layout is in keeping with precedent as well with a 100 mm bore and 111.1 mm stroke (102 mm /114 mm for the Special) that gives it the standard long-stroke ratio. 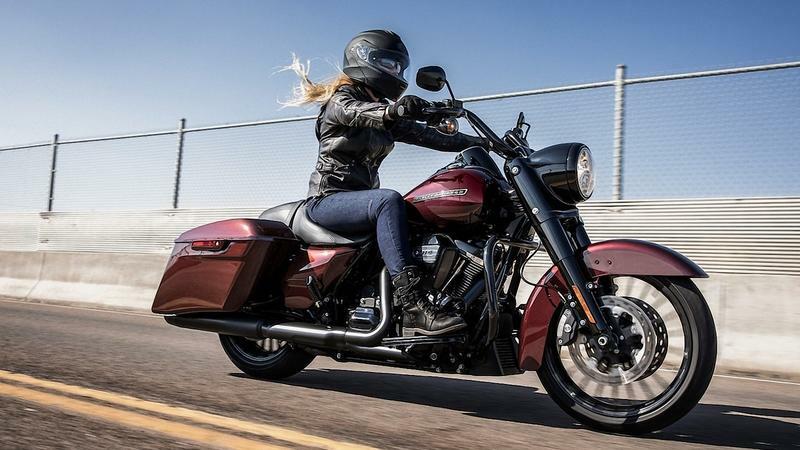 Electronic fuel injection manages the induction, but Harley enters another year with no sort of traction control or variable power-delivery modes to enhance safety along with the riding experience. I’m really not surprised, but I imagine someone at the factory has to realize that they ignore such tech at their own peril. The transmission comes geared for comfortable interstate cruising with six-speeds to choose from, and both fifth and sixth gears are superslab appropriate. Bore x Stroke: 3.937 in. x 4.374 in. 4.016 in. x 4.5 in. 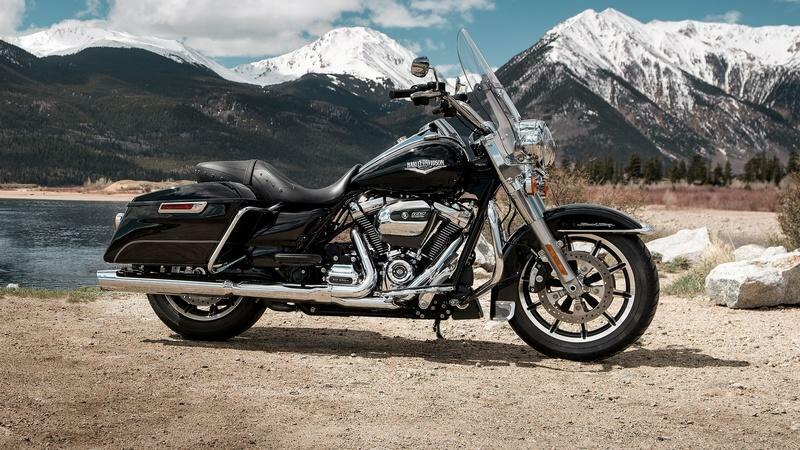 Prices are up across the board for 2019, a few bills for the Road King and over a grand for the Road King Special. MSRP on the Road will run a a few bills higher than last year at $19,289 for Vivid Black up to $20,289 for the customer color option. The Road King Special went up over a grand at $23,089 for Vivid Black and topping out at $25,089 for the Two-Tone Custom Color option. It's clear that the two companies share a similar history with design aspects that have survived the passage of half-a-century. 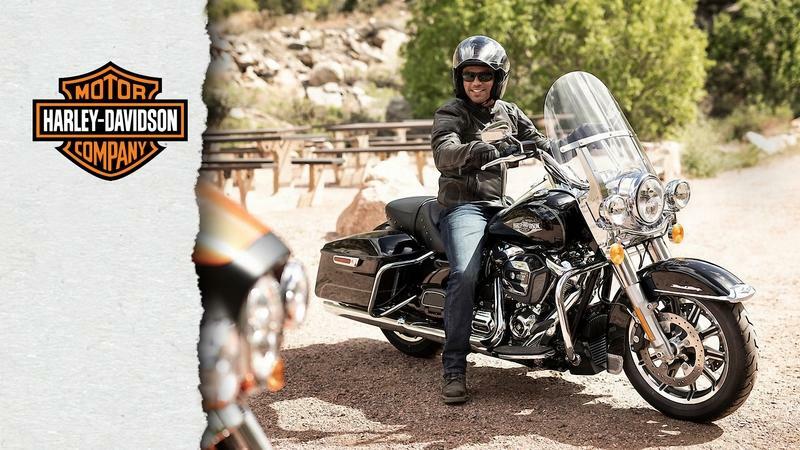 Let’s be honest; no import can compete with H-D on even terms in the American-style cruiser/tourer market. In fact, none even come close no matter how many Charlie-Davidsons they dream up to throw our way, so the competitor for the Road King was a complete no-brainer since nothing else quite fits the bill like the Chief Vintage from Indian Motorcycle. It’s clear that the two companies share a similar history with design aspects that have survived the passage of half-a-century. Fat forks set in a wide tripletree lead the way astride a full front fender, and the Chief Vintage even sports whisker lights and chrome fork skirts. Rather than paring down the front fender, Indian owns it with the classic Indian-head trim and full-skirt construction. Two of Indians color packages for the Chief Vintage come with the ubiquitous black saddle and bags, but the Willow Green over Ivory Cream and Sky Blue over Pearl White rocks a tan leather finish that’s a little more Old West than Old School for a whole new level of retro. 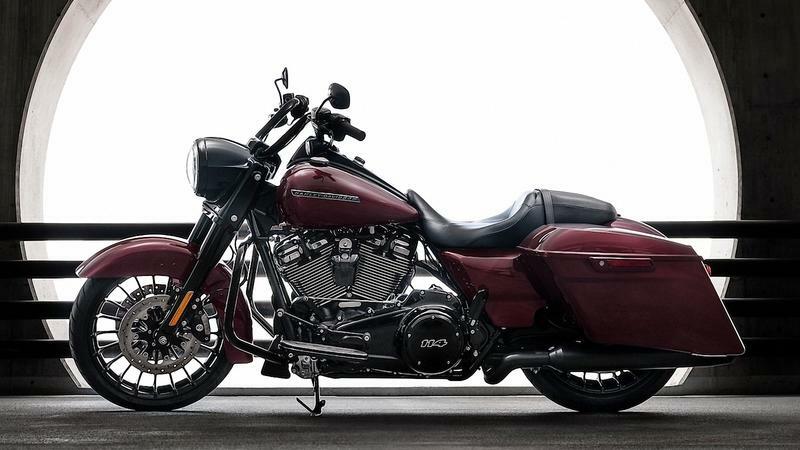 Indian shares much with Harley design-wise, but the rear body panels join the front fender as yet another classic element that ties into long-ago established, brand-specific looks. Harley comes out on top (barely) in the suspension category with Showa’s DBV stems versus some utterly vanilla forks on the Chief, and Harley’s brakes have the Reflex feature and ABS option up against standard ABS on the Chief. Which is better? Well, it really depends on what kind of gadgetry you prefer. H-D’s plant looks like a classic Harley, but it makes no extra effort to sell a particular time period. 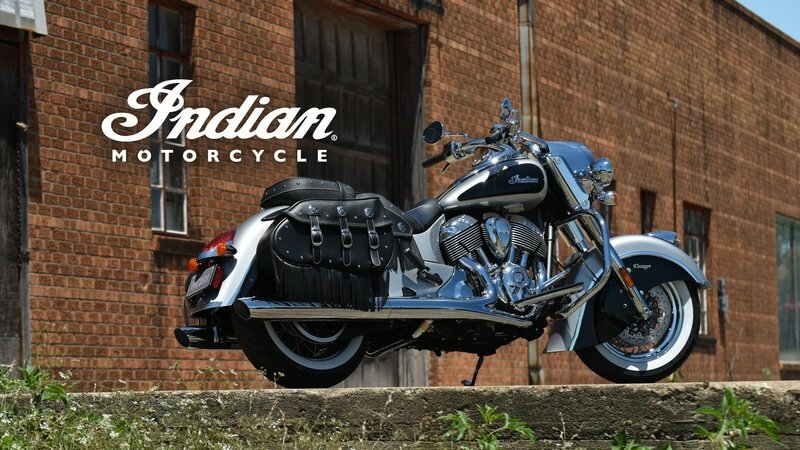 Indian’s Thunder Stroke 111 is shameless in its effort to sell the idea of an antique motor design through clever touches like the flathead-like cooling fins on the rocker boxes and the four-cam valvetrain geometry that further calls to mind the old side-valve mills. Much like on the flattrack, Indian brings the pain to H-D at the dyno with 119 pound-feet of torque up against Harley’s 111 pounds of grunt. Beyond that, the air-cooled V-twins run with analog engine control and nothing in the way of electronic fandanglery. The basic black Chief Vintage rolls for $19,999 and the two-tone paint will set you back another grand, and that’s right in the same neighborhood as Harley’s base model Road King. 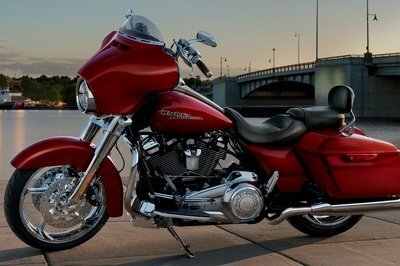 "Unlike my husband, I have always liked the Road King. 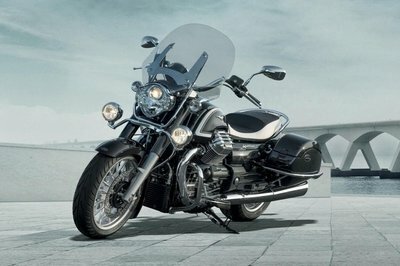 I like the big nacelle and windshield sans a fairing in that same look as the Moto Guzzi California 1400 Touring or the Suzuki Boulevard C90T. Without that big fairing, the Road King dips nicely into turns and to me, at least, the handling feels more responsive without that weight up front." Fuel Capacity: 6 gal. 6 gal. Oil Capacity (w/filter): 5.2 qt. 5.2 qt. Weight, As Shipped: 798 lb. 783 lb. Weight, In Running Order: 836 lb. 820 lb. GVWR: 1360 lb. 1360 lb. Gauges: Gauges styled to complement each vehicle. Display features odometer, trip A, trip B, range to empty and gear indicator; and larger tell-tale indicators. Gauges styled to complement each vehicle. Display features odometer, trip A, trip B, range to empty and gear indicator; and larger tell-tale indicators. See our review of the Indian Motorcycle Chief Vintage. 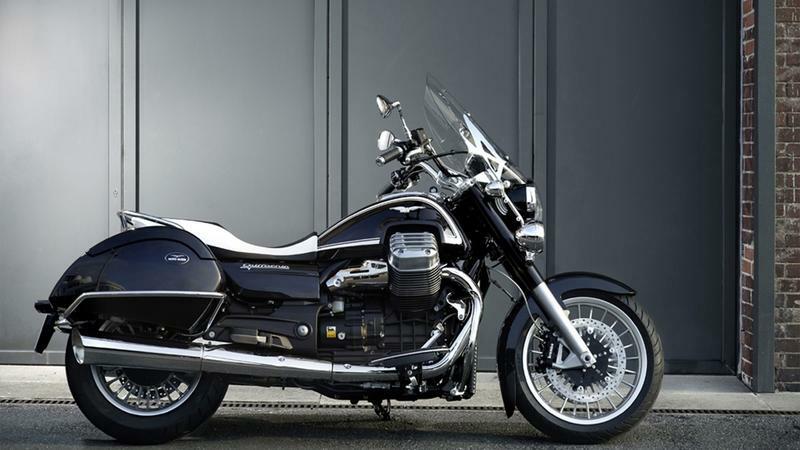 Read our review of the Moto Guzzi California 1400 Touring. 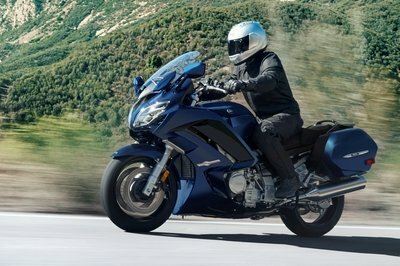 See our review of the Suzuki Boulevard C90T.